Hello ... Hello ... my old friends ... It's great to see you once again! 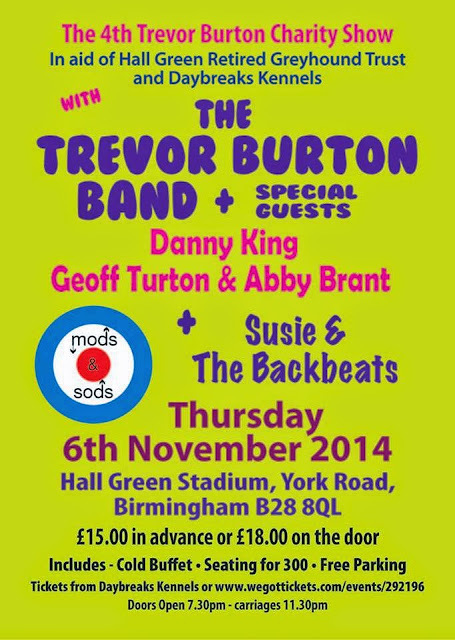 ELO Beatles Forever [ELOBF] are pleased to confirm that the 2014 Annual Trevor Burton Charity Show will again be held at: Hall Green Stadium in Birmingham on Thursday 6th November in aid of Trevor's two chosen charities who are Daybreaks Kennels and Hall Green Retired Greyhound Trust. 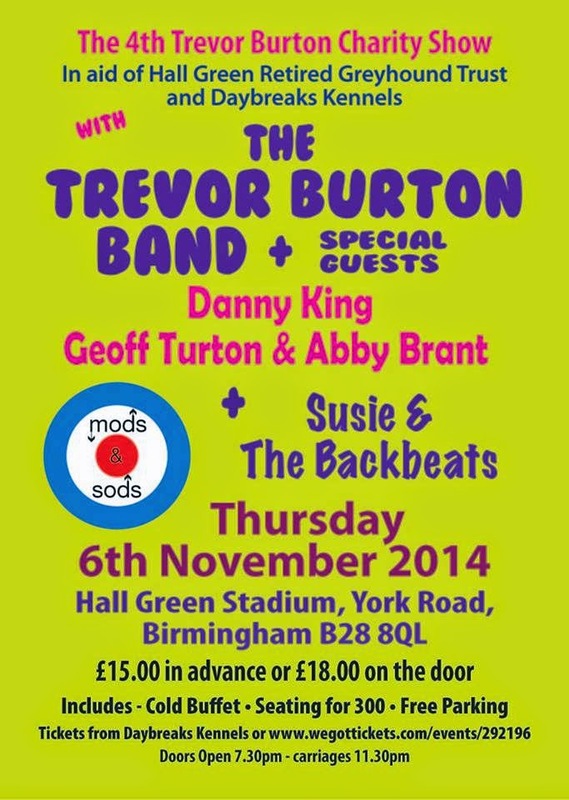 The 4th Annual Trevor Burton Charity Show will feature The Trevor Burton Band, Mods & Sods and Suzi & The Backbeats plus special guests Abby Brant, Geoff Turton and Danny King. ELO Beatles Forever [ELOBF] recommends The 4th Annual Trevor Burton Charity Show to those enlightened folks who enjoy the music of to those enlightened folks who enjoy the music of ELO, Jeff Lynne, Roy Wood, The Move, The Idle Race, 'Brum Beat', The Beatles and related artistes.